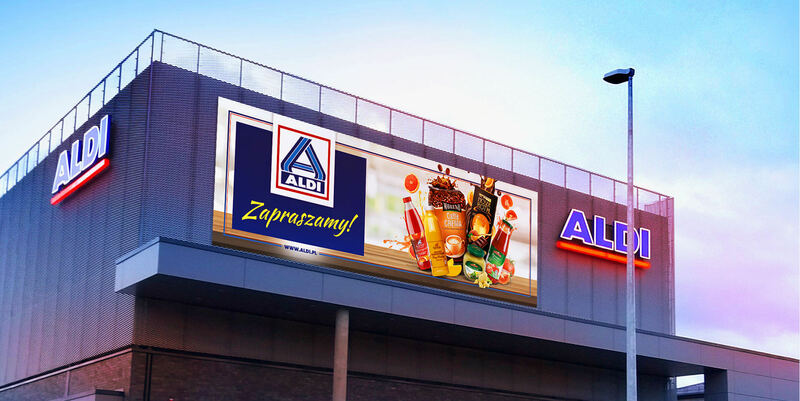 ALDI Nord is one of the leading commercial companies in Europe and in Poland, it holds the first position among discount stores. 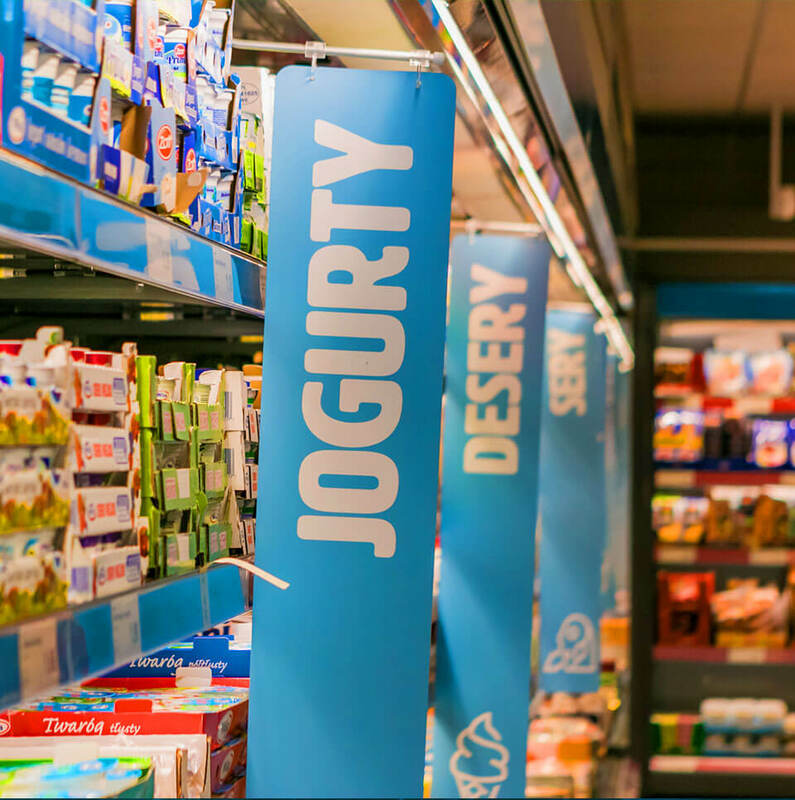 After 10 years of its presence in Poland, ALDI has 124 stores. Within our cooperation we have developed new corporate identity of the discount store as well as introduced the concept in the outlets. 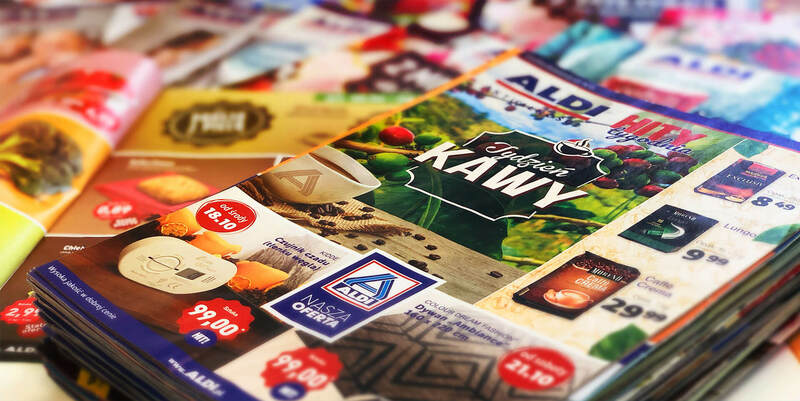 In order to build brand identity among Polish consumers, we have developed a consistent communication strategy for online and offline channels. Developing communication strategy for subsequent promotions and product zones. Within the framework of cooperation, we have developed consistent corporate identity of the stores as well as coordinated the reconstruction of 55 outlets. Thanks to trendy color scheme as well as transparent product marking in the store, we improved consumers’ shopping experience. 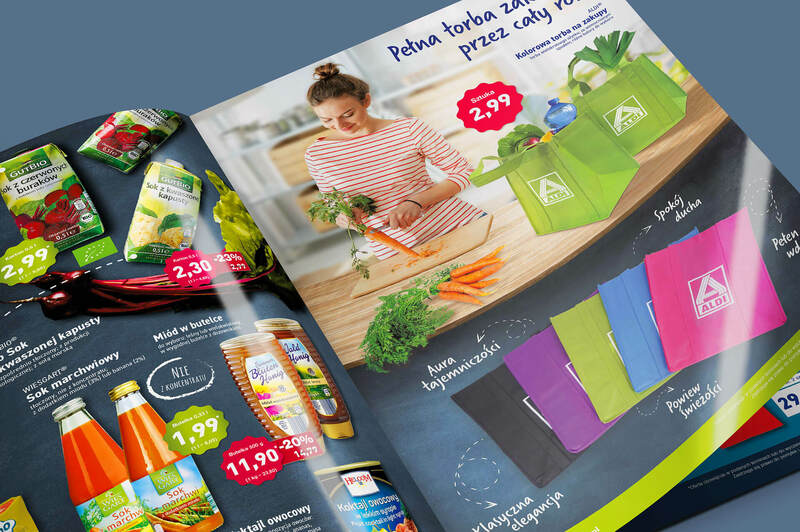 We are responsible for comprehensive development of Aldi promotional leaflets. We have developed the concept, new layout, color scheme and structures of subsequent topic-related leaflets. We also develop the content – headlines, recipes, interesting facts. 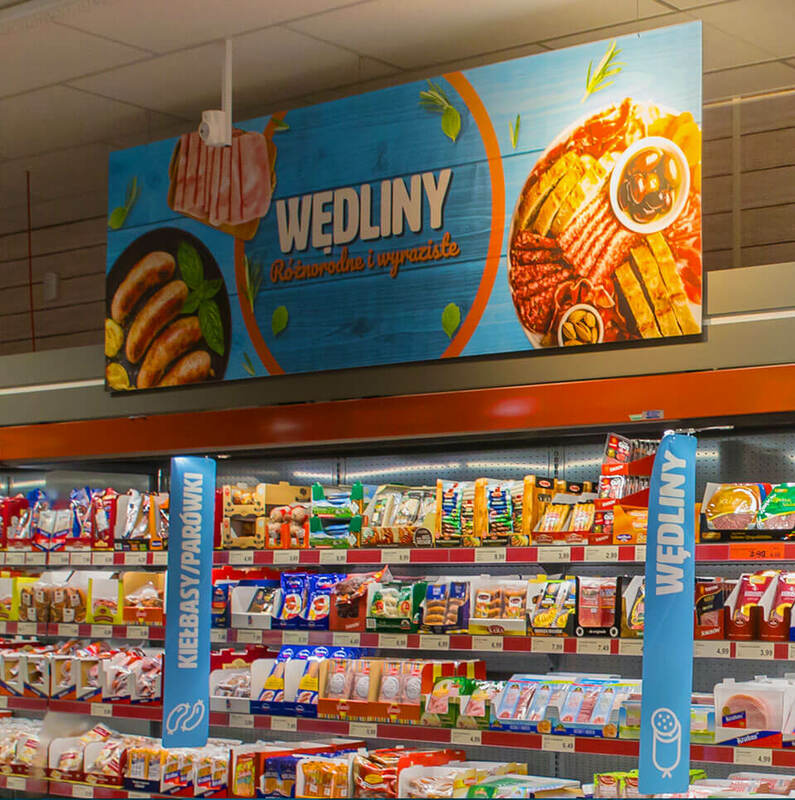 In order to warm up the image of the ALDI brand as well as to inform all clients about its wide product range, we conducted the outdoor campaign which has been realized in Cracow, Poznań, Wrocław and Warsaw as well as within the Silesian agglomeration. 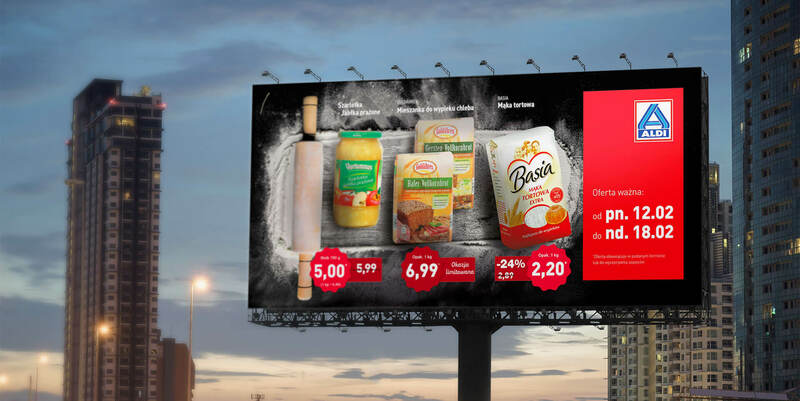 The agency is responsible for preparing weekly and topic-related billboards for each promotional leaflet. Thanks to our OOH activities, ALDI stores network has found itself much closer to its potential and current clients (thanks to a very large target group).